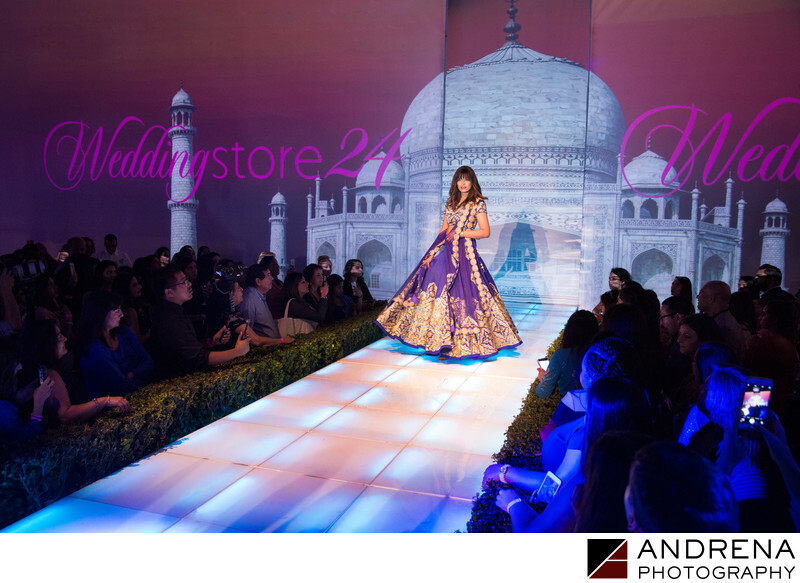 As a photographer working in Los Angeles and Beverly Hills, I am often called upon to shoot events that also include fashion shows. For this bridal event, fashions were showcased as models walked down a lit runway. From my position on a ladder at the end of the runway, I made sure that my captures were focused on making the models and outfits look their best. This sometimes meant waiting until the model spun around so the skirt could be more easily seen. Other times, it meant waiting until the model was closer so more detail in the dress top could be viewed. For this event, we had to shoot at an angle as the end of the runway was not blocked off for photographers, and was instead crowded with attendees shooting with their iPhones. As true professionals, we had our ladders handy and quickly improvised to find a vantage point that would work well for the organizers and creating event images. Location: 9641 Sunset Blvd, Beverly Hills, California 90210.